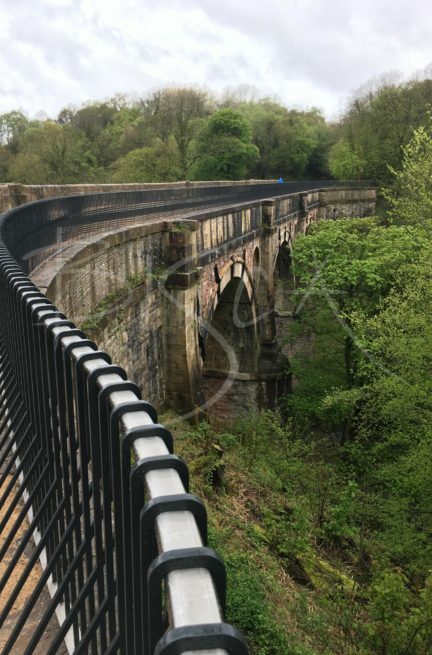 Kier Construction commissioned Bisca to create a parapet railing for Marple Aqueduct. The following article is written by Judy Jones, Heritage Advisor in her blog and sums up the project beautifully. 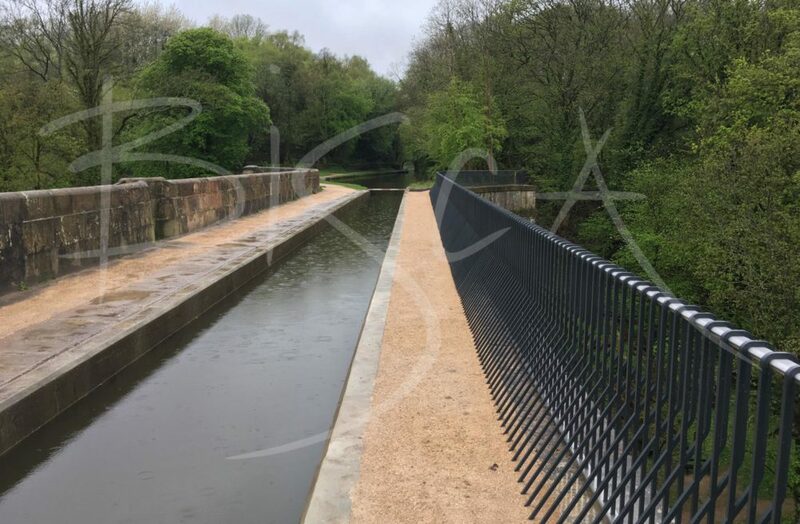 In close collaboration with Knight Architects, Canal River Trust based the design on the loop pattern of ‘cotton weaving’, which acknowledges Samuel Oldknow’s historic Mellor cotton mill in Marple and the use of the Peak Forest Canal for transporting the cotton he produced. 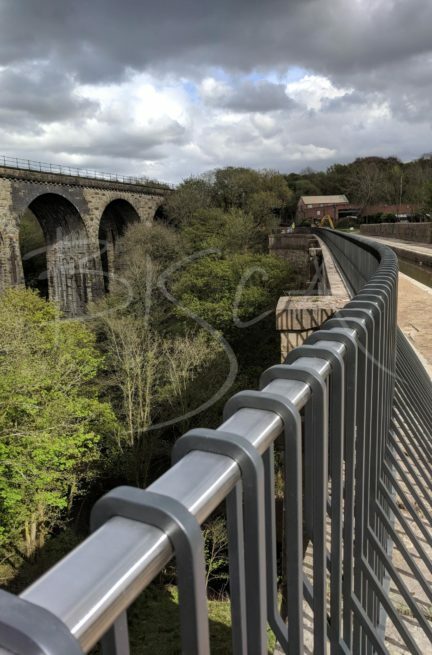 Each vertical rail is ‘woven’ between the two low-level rails and the top rail, as a single self-intersecting ‘thread’. These vertical elements form the ‘warp’, and the horizontal rails form the ‘weft’. This design was very well received, and gained wide-ranging praise from the many stakeholders involved in the project. Uprights are matt black, an elegant nod to an original Georgian period style of railing. The horizontal bar at the top and bottom remains unpainted, so as to ‘disappear’ once installed, mirroring the surrounding colours of the tree canopy and sky. 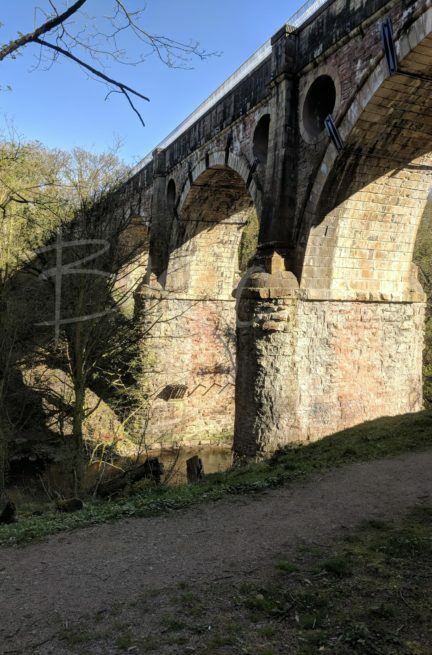 The panels follow the curve of the aqueduct, and despite the fact that this is a contemporary intervention to a 200 year old masonry gem, it is beautifully designed and detailed, it is an addition of which both Benjamin Outram and Samuel Oldknow would approve. Credit: Judy Jones, Heritage Advisor, Canal River Trust.